The past and future worlds of the X-Men: Days of Future Past movie are gets the Minimates makeover! 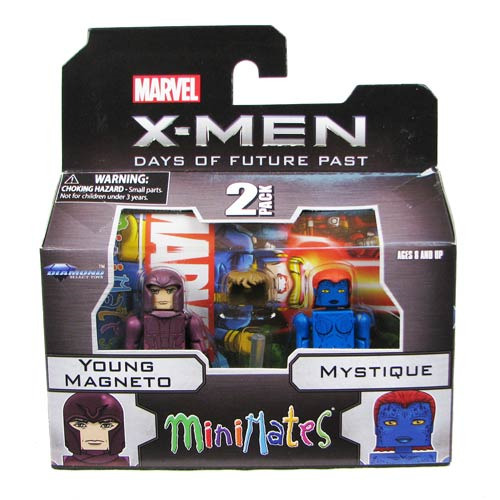 This X-Men Days of Future Past Series 58 Magneto and Mystique Minimates 2-Pack features the master of magnetism and the cunning shapeshifter as seen in the blockbuster movie! Each minimate figure stands 2-inches tall and features 14 points of articulation plus a variety of interchangeable parts and accessories!